You’ve probably heard that berries are high in antioxidants, but did you know that research has shown that they can help to fight or prevent several illnesses? 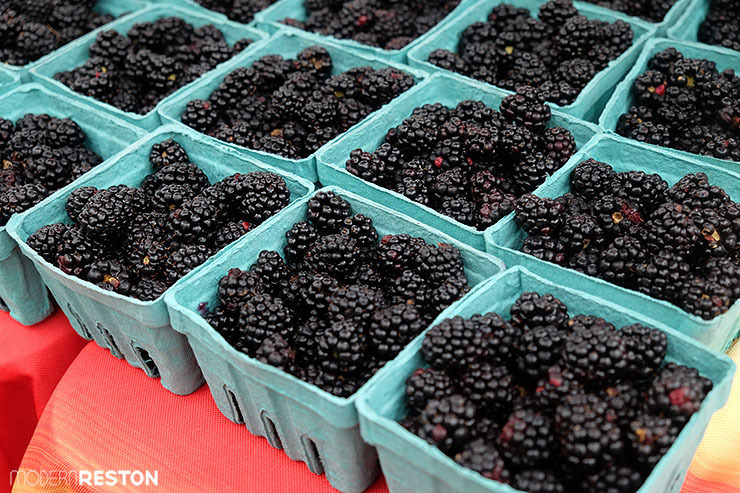 One vendor at the Reston Farmers Market is so impressed with the health benefits of berries that he has built a career around them. Jerry’s Gourmet Berries is a family-owned farm located in Woodstock, Virginia, in the Shenandoah Valley. 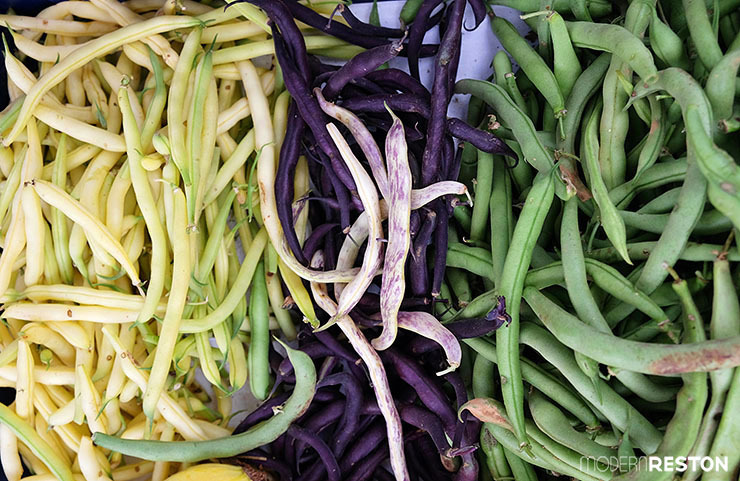 All the farm’s products are USDA-certified organic. The company is owned by Jerry Fields, an MIT graduate and former aerospace engineer. While traveling the world for his engineering career, he observed how the dietary habits of people in different countries were linked to ​health issues, and he became interested in research on berries and their ​impact on health. 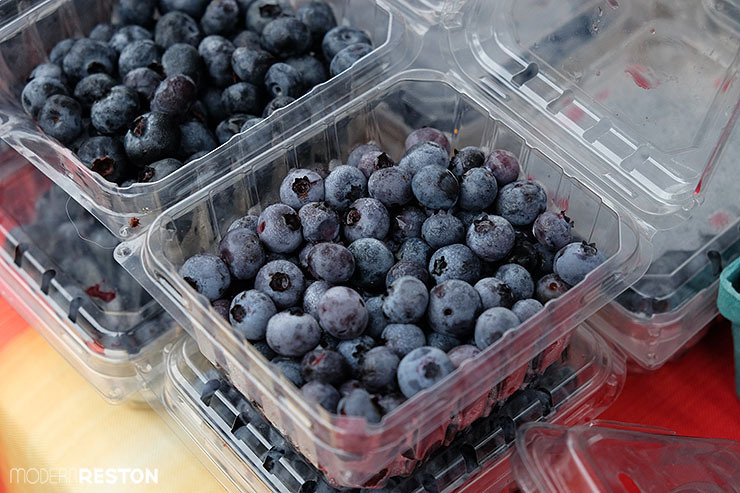 Jerry started raising organic blueberries as a hobby, which eventually led to the development of a full farm. Now he grows a variety of crops, but he continues to be most passionate about berries and their health benefits. Jerry recently compiled his research on berries into his first book: Berries: An Eaters Guide. The book can be purchased at ​the Reston and Wakefield farmers markets or online at Amazon.com. I read this well-researched book and spoke with Kristin Bibb, the market manager for Jerry’s Gourmet Berries, and learned some great information about berries and their effect on health. Modern Reston: What is your role with Jerry’s Gourmet Berries? My position at JGB is “Market Manager.” At this point I have ​picked berries, mowed grass, gone to market every Saturday, and made jam around the farm. ​But my bigger responsibilities have included things such as retrieving certificates for each of the ​organic ​ingredients we use, preparing the necessary paperwork for, and the overseeing of the ​yearly USDA inspection, and I even got to edit the first draft of Jerry’s book, Berries: An Eaters ​Guide. MR: What are some of the primary health benefits of berries? They are high in antioxidant levels. All of this and much more is discussed in greater detail in Jerry’s book. MR: Which of your products are in season now (early August)? KB: Currently in season are blackberries, Aronia berries, blueberries, tomatoes, cucumbers, squash, zucchini, green beans and garlic. MR: Which of them will be in season in the fall? KB: The fall will bring yellow raspberries, red raspberries, strawberries, tomatoes, cucumbers, green beans, squash, zucchini, garlic and peppers of all varieties. MR: What are your personal favorite JGB products? KB: ​My favorite foods from JGB include albino pine berries, strawberries, pink ​blueberries, heirloom tomatoes and the variety of jams. The albino pine berry looks like an inverted strawberry – white strawberry in shape, but with red seeds. It is pollinated by a strawberry variety. MR: Do you have any tips about selecting, handling, storing or preparing berries? Select the berries of each variety that are the most ripe. If you’re picking your own berries, make sure you choose to pick in early morning, just after the frost. Make sure you choose the right container for the berry you are picking (don’t want them getting smashed before arriving home). Berries must be removed from the field heat immediately and refrigerated. They must only be washed right before eating. You should never rinse berries and then place them directly in the refrigerator as this will accelerate fungus growth and shorten berry life. They have a refrigeration life anywhere from 2 days to 1 week. They can also be frozen (makes them easier to bake with), and will maintain optimum flavor for 6-8 months but can be used for up to a year. Another way to preserve berries is through dehydration. These, and many more, suggestions, options and instructions can be found in Jerry’s book. 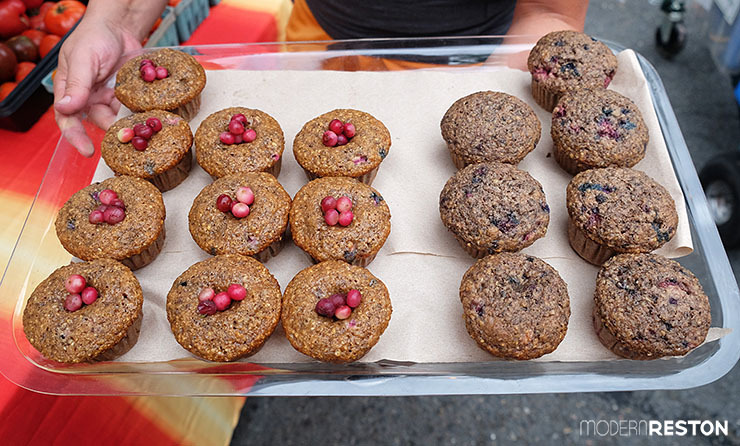 Muffins made with blueberries and pink blueberries, available at the farmers market. MR: Do you have any interesting berry recipes to recommend? KB: There are several recipes in Berries: An Eaters Guide. A few of these include: Blackberry Cobbler, Aronia Banana Bread, Aronia Salsa, Aronia Black Bean Chili, Berry Buckle, Fruit Leather and Blueberry BBQ Sauce. But we’ll leave it up to you to find out for yourself! Many thanks to Kristin Bibb and the rest of the team at Jerry’s Gourmet Berries for all this great information. I’m sold. Anything delicious that is also good for my health is a clear win-win. How do you like to eat and serve berries? I usually like them plain, or with Greek yogurt and honey — but nothing beats a warm berry cobbler topped with ice cream. 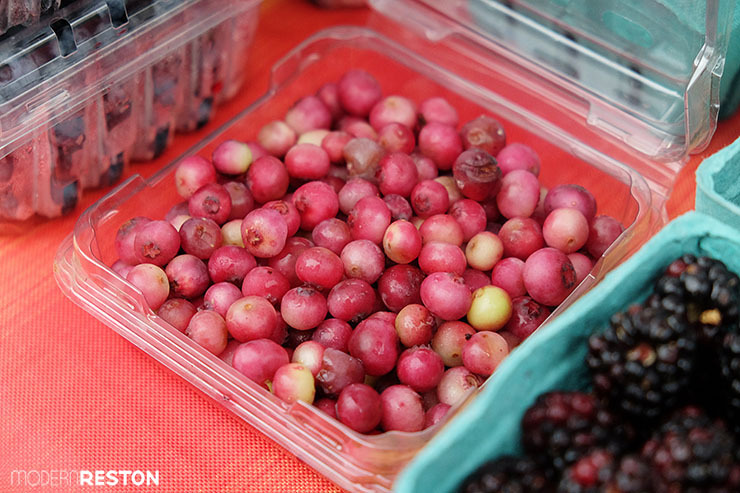 Jerry’s Gourmet Berries can be found at the Reston Farmers Market at Lake Anne every Saturday during market season. For more information about berries and their benefits, check out their book: Berries: An Eaters Guide. 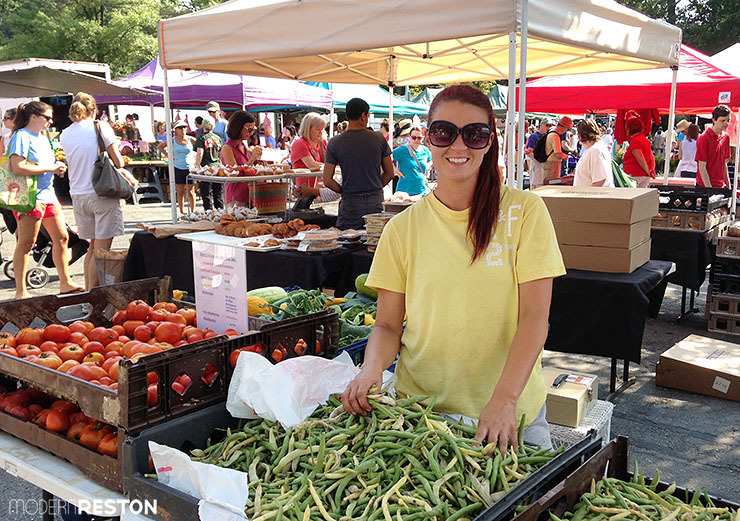 The book can be purchased at ​the Reston and Wakefield farmers markets or online at Amazon.com. At The Reston Farmers Market: Cherry Glen Goat Cheese!